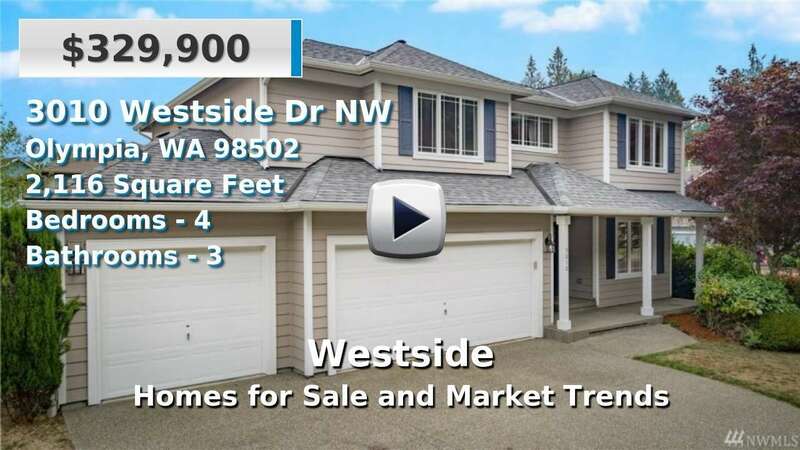 The Westside encompasses a wide range of urban and suburban living west of Olympia. Home types range from apartments and multi-family to single families in many sizes and price ranges. The Westside downtown features all kinds of dining, shopping, and entertainment experiences with classic Olympia charm and spirit. This side of town is home to The Evergreen State College and South Puget Sound Community College, Grass Lake Nature Park and Yauger Park, and the busy shopping center of Capital Mall. 4 Beds | 2.25 Baths | 2436 sq. Ft.
6 Beds | 3.5 Baths | 3035 sq. Ft.